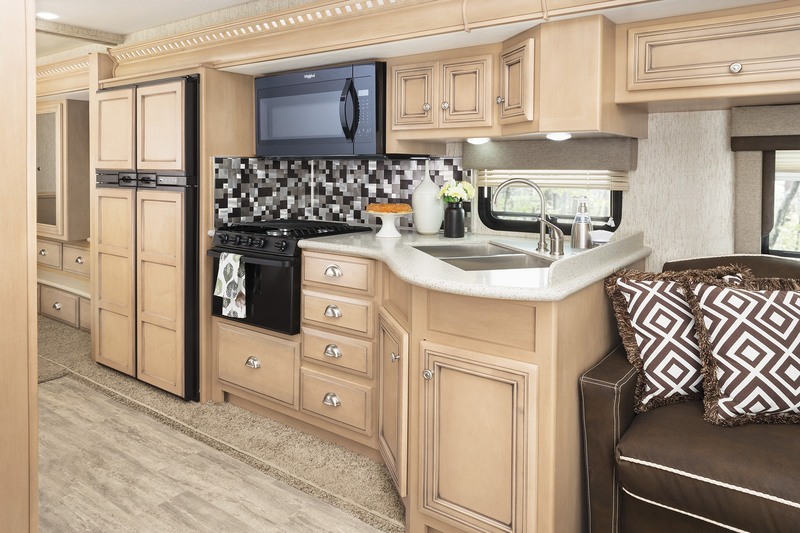 Every 2019 Bay Star Sport showcases our industry-exclusive full-paint Masterpiece™ finish. 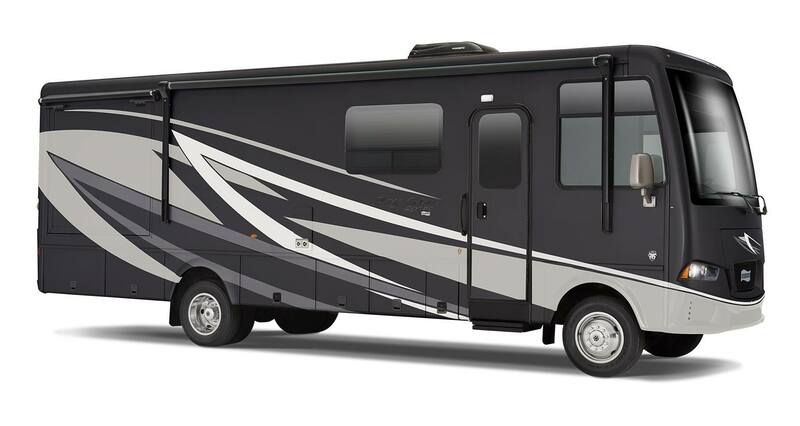 The 2019 Bay Star Sport is built to take your family far beyond the local campground, with an available 5.5 kW Cummins® generator, standard hydraulic leveling jacks, and plenty of lit basement storage. 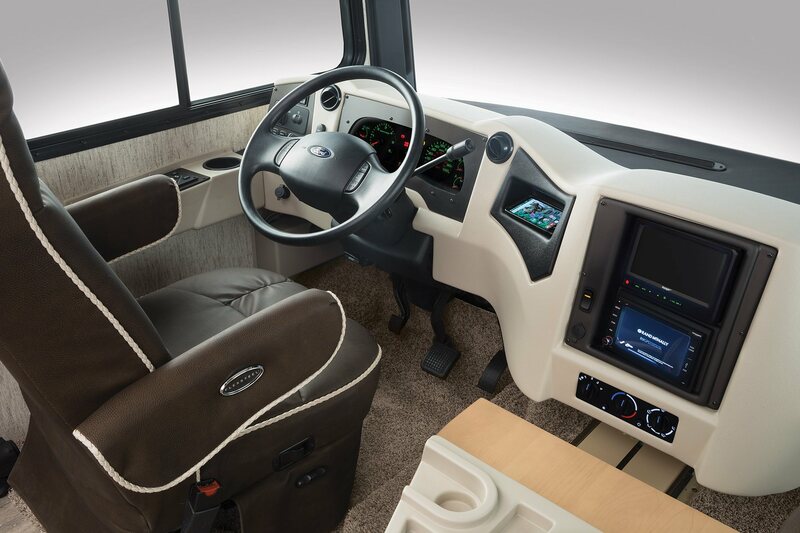 Windows can be upgraded to a double-pane variety, while power side mirrors include a defrost setting. 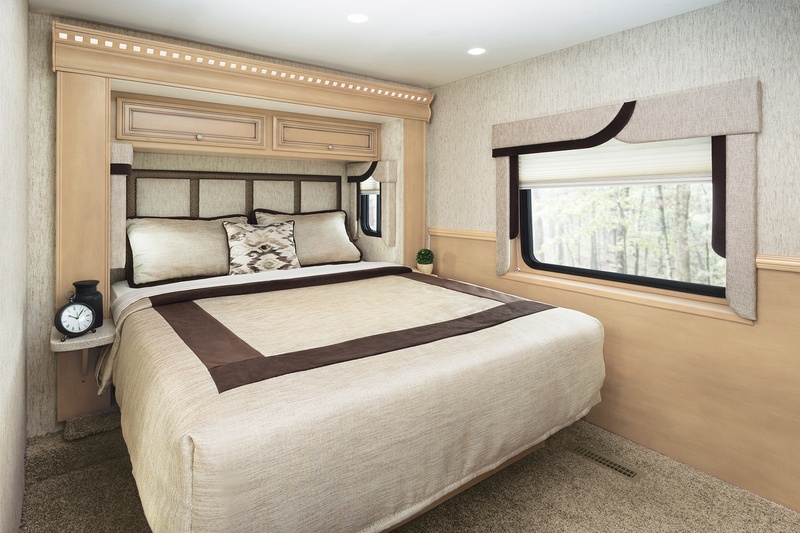 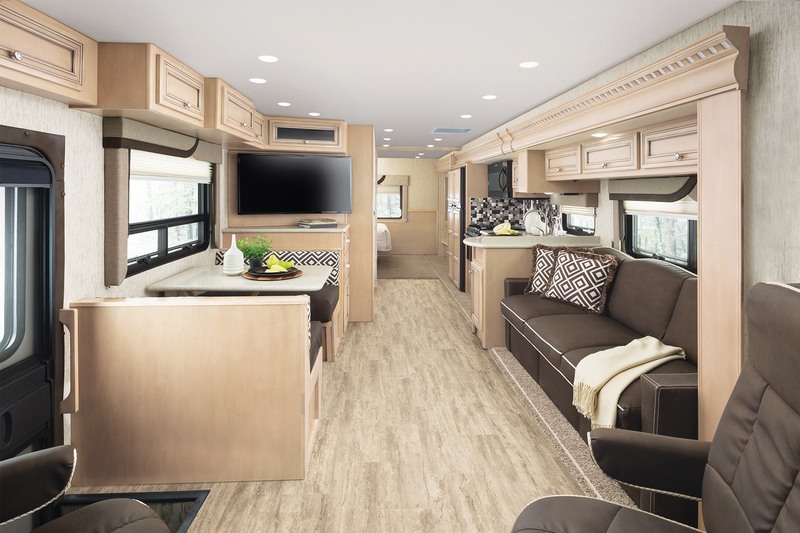 Demonstrating the power of simplicity, the 2019 Bay Star Sport brings a minimalist design approach to the forefront, with available dark Mustang décor fabrics complemented by a light Astoria wood finish. 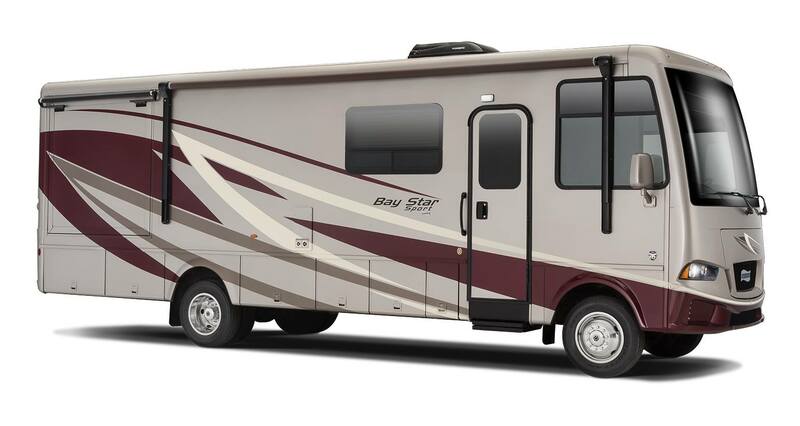 For guests, Bay Star Sport offers an optional dropdown bunk bed or bunk sofa with select floor plans. 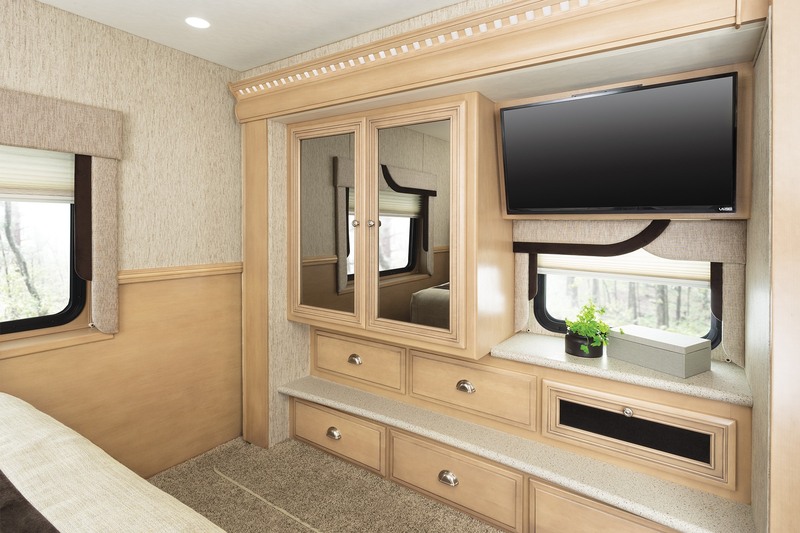 And with two in-coach Wi-Fi options available, it’s clear Bay Star Sport is purpose-built for the modern family.